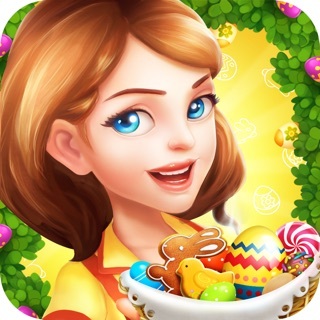 Welcome to the Theme Park Builder game combined with refreshing Match-3 puzzle. Create your very own retro park of the '60s! Become a chief architect - design, customize, and decorate it to perfection. You are a new owner of abandoned theme park in Dyson City. It's the '60s - the era of freedom, romance and rock'n'roll, the age of Elvis and Marilyn. You want to bring to life your childhood dream to build amazing amusement park and make it free for kids. You hire an assistant, Betty, who spent her childhood in this park and wishes to help you implement your design ideas and run the park. There are also a lot of citizens who want to help you too! They care about the future of the Dyson City park. The old park keeper, Ralph, an easygoing handyman, Bob, the enamored gardener, John, the curious journalist, Raichel, and others. But be careful - there is an old mysterious story about the ghost of a miner who wanders the park to this day. And there are people who want to prevent the opening of the park. So hurry up! Dyson City needs you! ● Construct, customize, and design: buildings, squares, carousels, and more. ● Exciting match-3 levels: tons of challenging levels with unique mechanics and explosive boosters. ● Personalized storyline: experience a fun and misterious story in the magical atmosphere of the 60s. ● New-age graphics with stylish art of the '60s. ● Both portrait & landscape game orientation. ● Share and receive lives from your friends on Facebook. Fun Story: This Match 3 app is a FREE TO PLAY casual simulator game, though some in-game items can also be purchased for real money. If you don't want to use this option, simply turn it off in your device's "Restrictions" menu. Because of the quality of graphics the app CAN WORK UNSTABLE with following devices: iPhone 6 and lower, iPad / iPad Air 1st generation and iPad mini. We are working on it. Learn more about the game. Facebook: https://www.facebook.com/funstorygame/, website: http://dteamstudio.com/. Questions? Contact our Tech Support at support@dteamstudio.com. The screen goes black after the street lights come on, and it doesn't come back. Please fix, because, this is a cute game and I want to play it. Guess Who 1111 hello! Thanks for your help - to find this bug. We are fixing it already. I'm liking the game but it won't let me start day 2. It glitches and the screen went blank and I can't do anything else. Tried closing and rebooting app and it didn't work. It happened after I chose lighting for the park. The new update still doesn't work!!! I still can't get passed day one!!!! Shanie33 hello! Thanks for your help - to find this bug. We are fixing it already. Mercs_Fubah hello! Thanks for playing the game and your feedback. We will think about your suggestion.